Two of the most respected professionals in the business field were having a conversation onstage and I couldn’t pass up the opportunity to become a part of the audience. 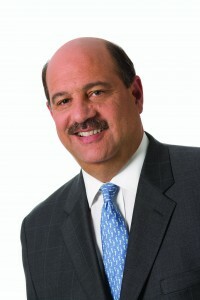 Deloitte’s CEO Barry Salzberg was interviewed by Dean Thomas Gilligan through the Distinguished Speakers Series hosted by the Undergraduate Business Council. It was interesting to hear the insight of someone who truly excels in his field. After hearing him speak, I thought of Mr. Salzberg not only as a very intelligent professional, but a true leader that everyone should look up to. Mr. Salzberg talked about his very first job as a payroll clerk at the New York City Board of Education. From a young age, he was already acquainted with numbers, calculating teachers’ income. Because he was working for educators, Mr. Salzberg developed a passion for education and the value it brings to every individual. Moving on in his career, Mr. Salzberg worked as a tax accountant. He established himself as the “go-to person” of clients and co-workers by being accessible and by teaching himself to be technically knowledgeable. He did more than just serve his clients; he took every opportunity to learn and broaden his skills. He even went to law school, not with the goal of practicing law, but to expand his way of thinking and be a better tax professional. This determination has catapulted him to become a partner. 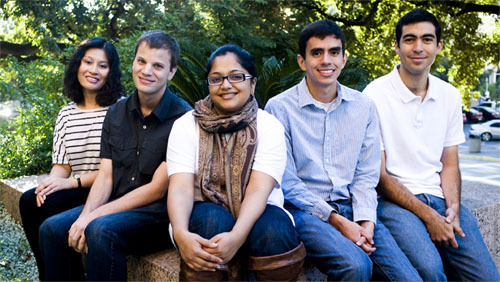 As a partner, he focused on working with people –promoting diversity, developing a harmonious environment, and being open to all kinds of people. He emphasized the importance of communication, transparency, and the ability to lead in difficult times as tools to become an effective leader. Although Mr. Salzberg has been very successful in his field, he said that he also had made some mistakes in the past. Mr. Salzberg recalled an incident he encountered as a partner. He and his team had successfully resolved a major client issue, but he failed to communicate that to the then-chairman of Deloitte what his team had accomplished. This miscommunication caught the chairman off guard when he had a conversation with the client. Since then, Mr. Salzberg says has been enlightened to the true importance of communication, and of not catching someone off guard. Having a leadership coach was also something that helped Mr. Salzberg become a more promising leader. As the CEO of a multibillion dollar company, there were some areas that he needed to improve on to become a better leader. He mentioned that he has been working with his leadership coach to handle dissenting situations more effectively. No wonder he shines not only in the accounting field, but in the leadership arena as well. Who wouldn’t want to seek the advice of one of the most respected professionals in the business field? Mr. Salzberg mentioned the importance of having a mentor that provides one with objective advice and criticism. Mentors “broaden [one’s] experience base.” Mentors make a person realize things that an individual would not have seen otherwise. He advised the students to “have different mentors today than what you’ll have tomorrow” and that we must pick our own mentors and believe in their advice. In terms of finding your place in the business world, he mentioned that the company you should pick is the one that “has passion for the cause of what you’re doing,” and must have the value set that matches your own. Who would have known that one of the most reputable academic institutions in the country has its share of legends, myths and ghost stories? 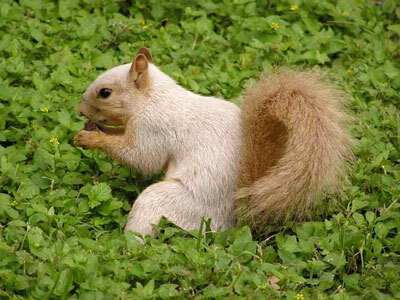 Legend has it that somewhere amidst the trees surrounding the University of Texas at Austin lives an albino squirrel that, if a student sees on his or her way to a test, he or she will get an A on the exam. Don’t get me wrong, I do my best to study hard and work smart for my exams, but with three rigorous graduate accounting classes under my belt, I guess it wouldn’t hurt to use some luck. This week, I had an exam for ACC 384.1 Tax Research, which I thought was the perfect time to look for the “powerful” squirrel. Monday – I interviewed people who have seen the albino squirrel already. They told me it can be seen on the East Mall, which is the area where Welch Hall, the Economics Department and Geological Sciences buildings are located. Based on their stories, after seeing the albino squirrel on their way to class, they did not only end up acing the test, but the class as well. This just gave me more motivation to look for the squirrel. I strolled around the East Mall looking for potential spots that the albino squirrel might be hiding. After thirty minutes of surveillance, I gave up on the task. I knew I had to come up with a better strategy to find the squirrel the next day.